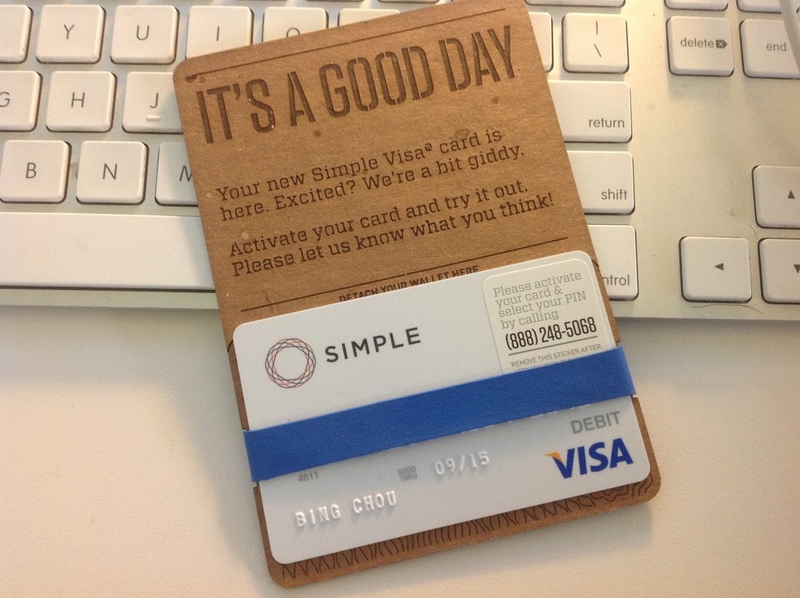 I finally got around to signing up for a new bank account with Simple. A few days later my debit card arrived. It didn't show up glued to a flimsy sheet of paper in the typical boring envelope. It's looking like Simple plans to remind me regularly that they aren't like every other bank. And that's a good thing.